绿带 – This is a direct entry level. Target audience is senior team leaders and managers or quality and process improvement professionals. Training hour is 30-hours, please 按此 to view details. 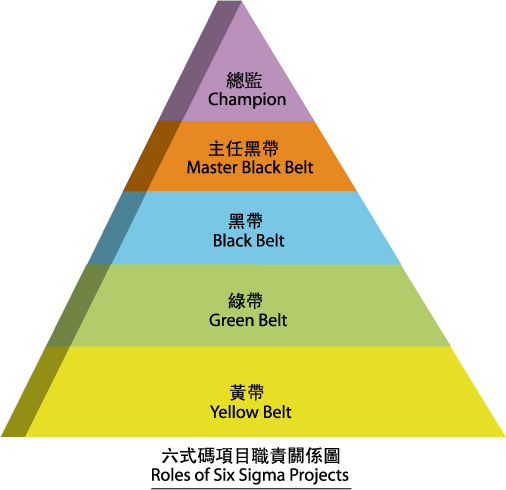 黑带 – To enroll Black Belt course, students are required to be qualified Six Sigma Green Belt or have equivalent qualification/studies. Otherwise, students must pass the 考试及评核 for entry. Target audience is Quality, R&D, Process engineer or supervisor. Training hour is 90-hours, please 按此 to view details. 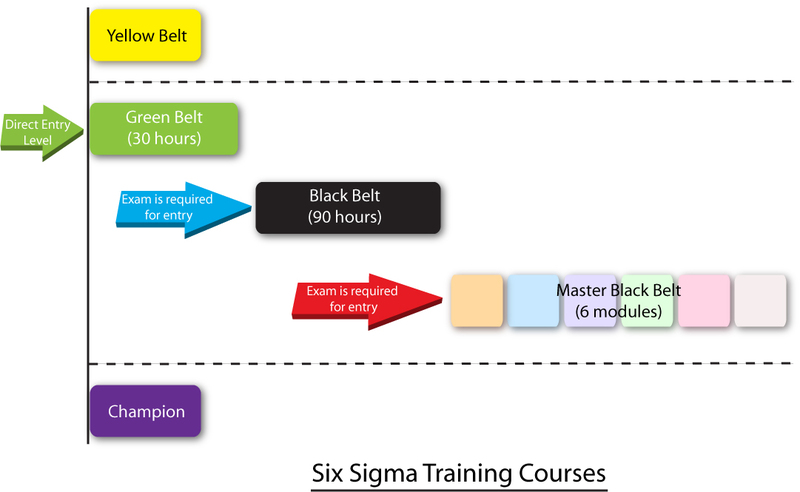 主任黑带 – To enroll Master Black Belt course, students are required to be qualified Six Sigma Black Belt or have equivalent qualification/studies. Otherwise, students must pass the 考试及评核 for entry. The course contains five modules, please 按此 to view details. 黄带 – Students with less than two years of work experience and are required to participate Six Sigma project. 总监 – Senior executive or management who has ultimate responsibility for the business and Six Sigma project. If you want to know which level is suitable to you, please refer to below explanation of Six Sigma Project Roles or 联络我们 directly for enquiry.